Learning about learning. Thinking about thinking. Writing about writing. These are all examples of “meta” activities. 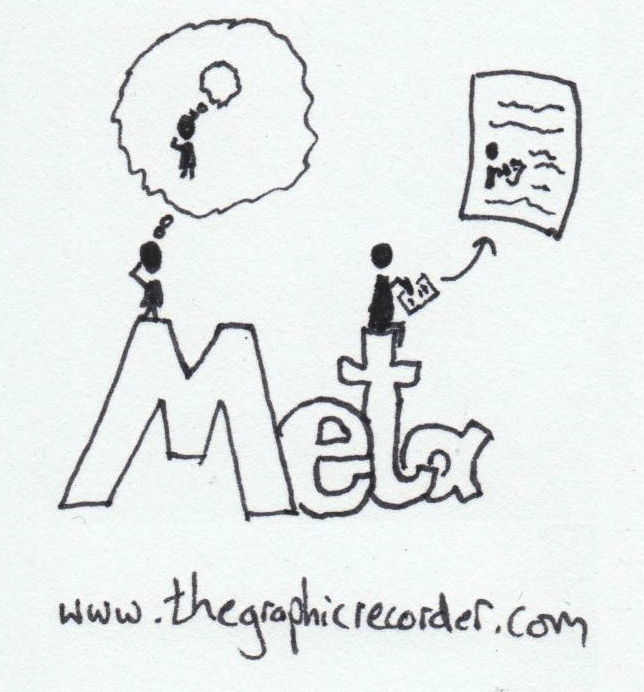 Though technically a prefix, “meta” has already made the leap to the urban dictionary, and it’s a word worth knowing. The first time I can remember coming across this term was during a Spanish literature class that I took while an undergraduate student. We were reading “La Casa de la Laguna ” (The House on the Lagoon) by Rosario Ferré, a book that tells the story of a woman writing both her own family history and that of her husband. Half-way through writing the book, her husband finds the manuscript, is less than thrilled with the way his family is portrayed, and begins to add his own contributions. What we read is the very family history that they have co-written, with brief interludes that tell the story of the writing – and the conflict that arises between the couple. This is an example of a metanarrative – a narrative that tells the narrative of its own creation. More recently, I’ve spent a lot of time learning about learning. During a year-long teaching program, I can’t tell you how many times I heard, “All right, let’s go meta on this…”, meaning that the professor wanted us to think about how we were thinking about whatever issue it was that we were discussing. It is that aspect of the teaching program that I deeply enjoyed – thinking about how people think and learning about how people learn. It’s fascinating stuff, and in many ways it laid the groundwork for my desire to start sketching as an aid to learning, which in turn resulted in this website. We are getting dangerously close to another meta – blogging about blogging. I’m not ready to take that step yet. Sketching about sketching? Soon, I hope.